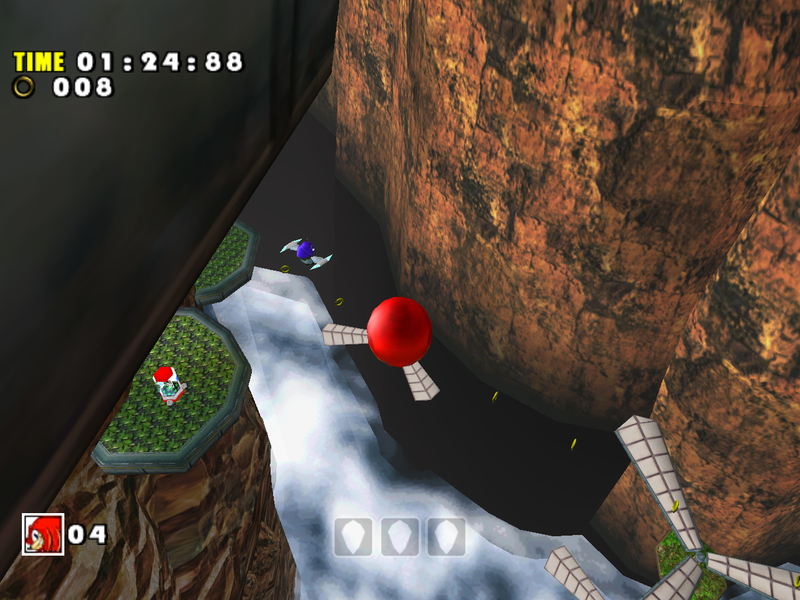 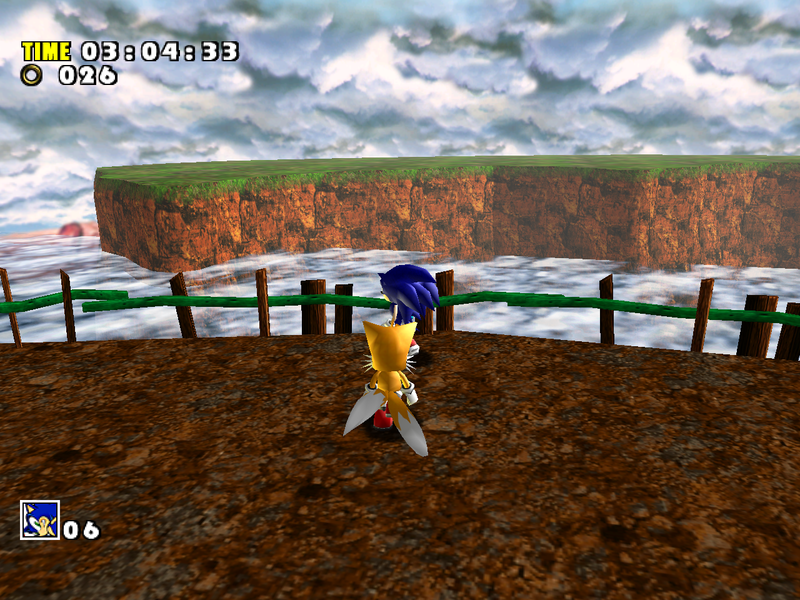 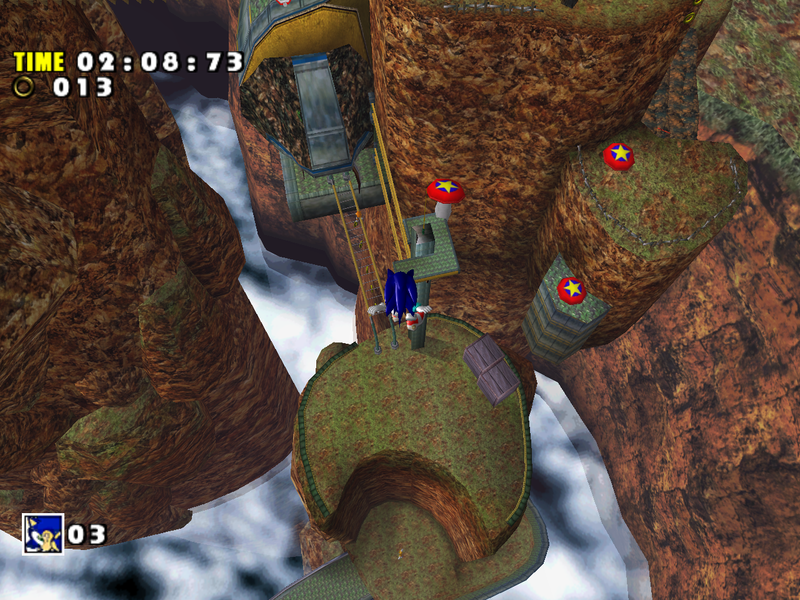 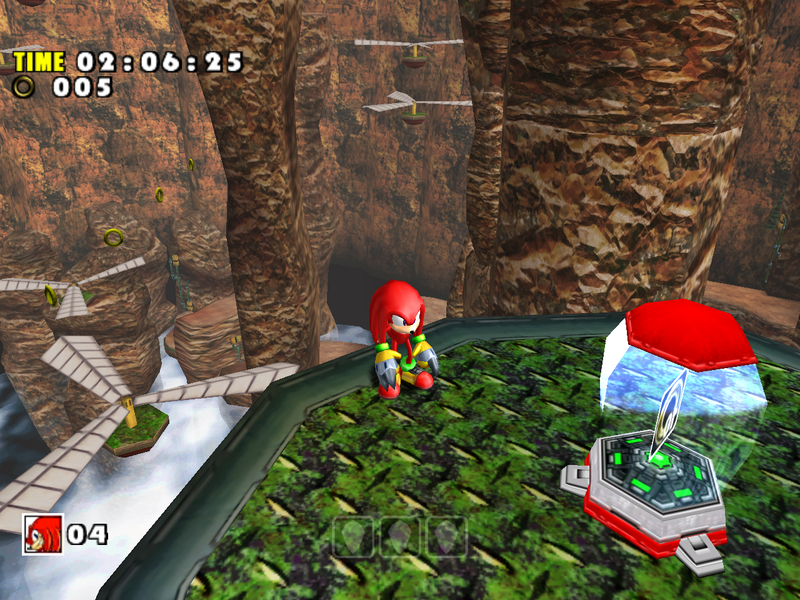 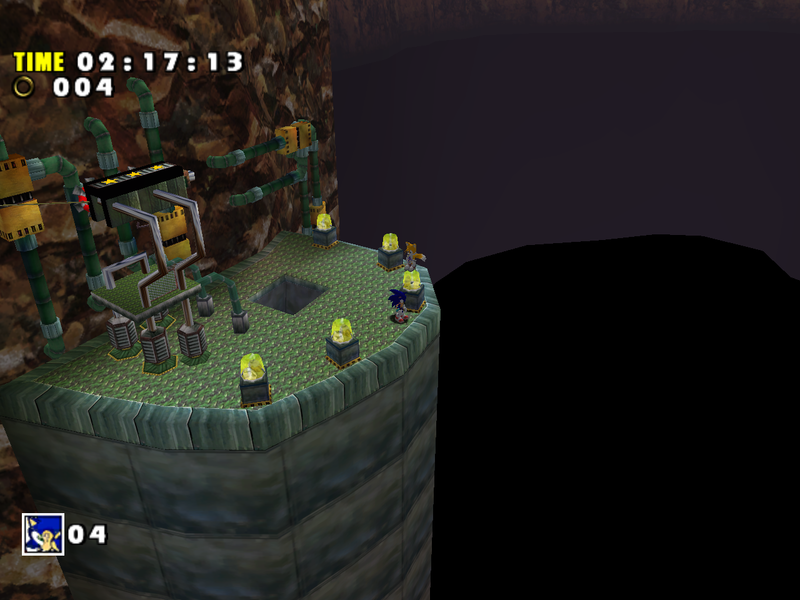 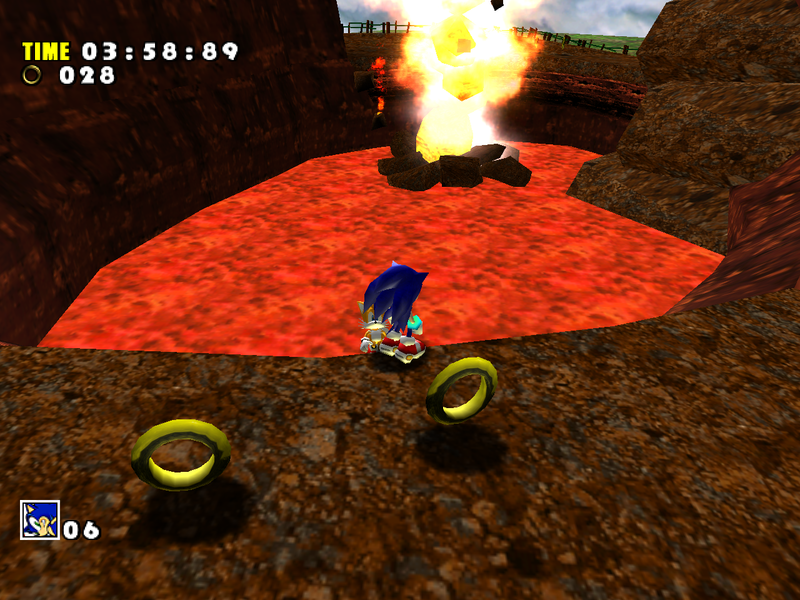 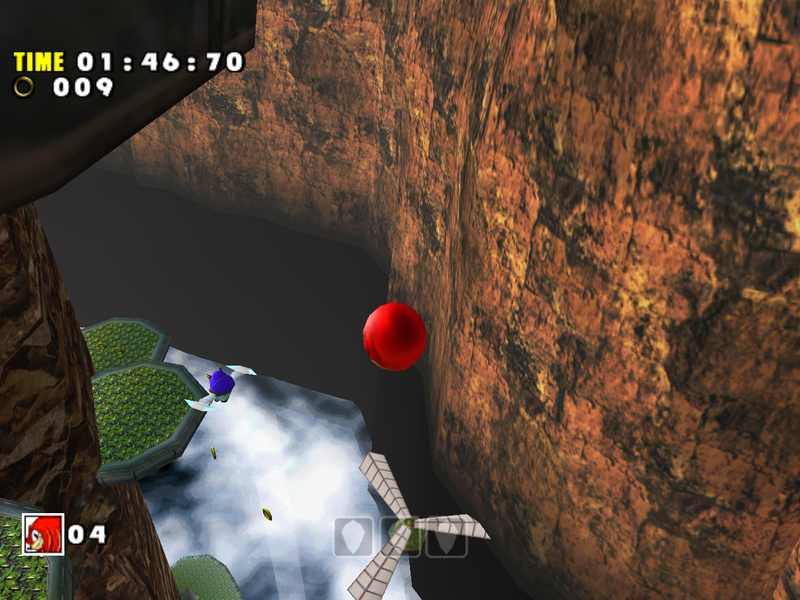 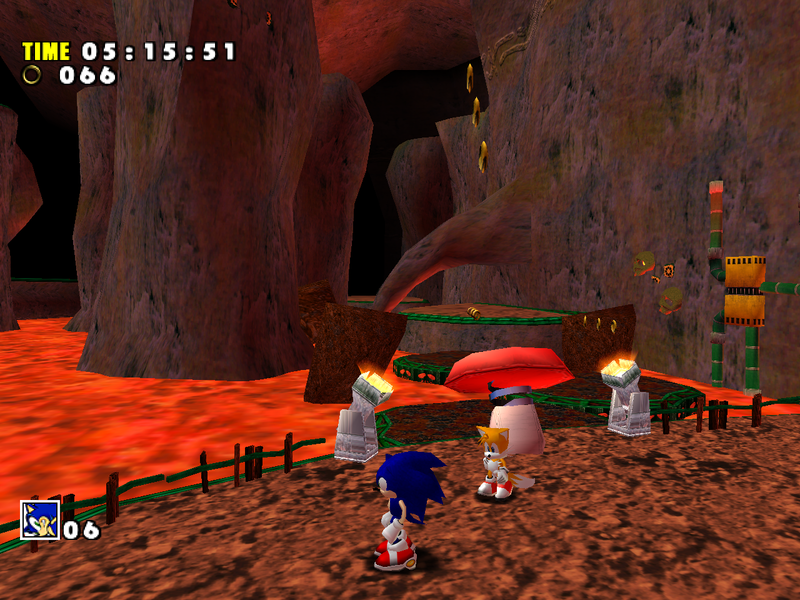 Red Mountain, particularly its first and third acts, has been reworked in SADX to a more noticeable degree than the other stages. 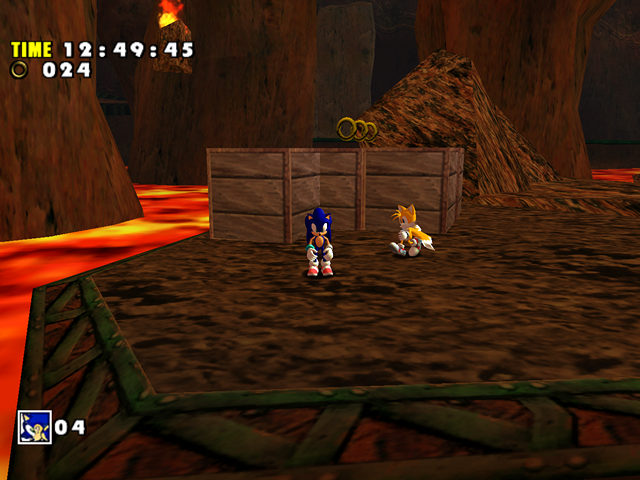 Acts 1 and 3 have new textures and at least one new texture is higher resolution than the textures used in the Dreamcast level. 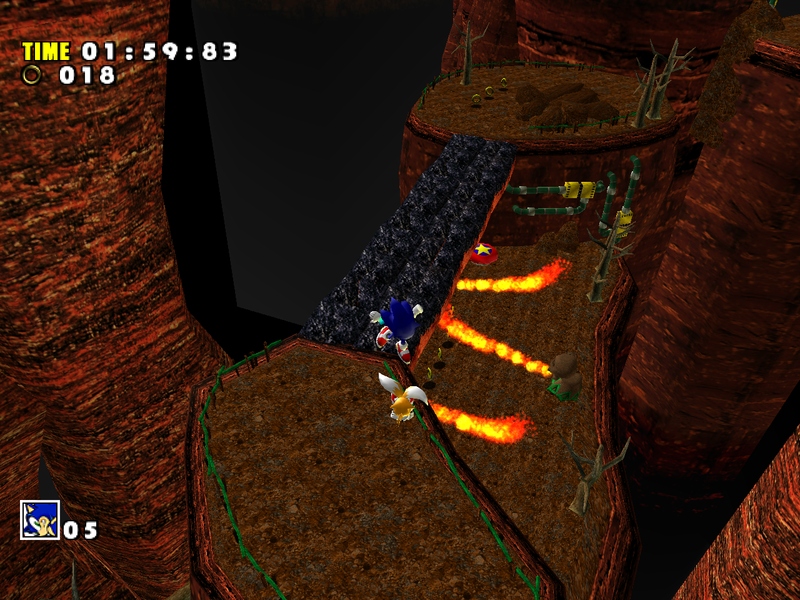 Many people seem to genuinely prefer the SADX redesign, and perhaps Acts 1/3 are not the worst when it comes to SADX downgrades – unlike Act 2, which is a downgrade from the original in every aspect. 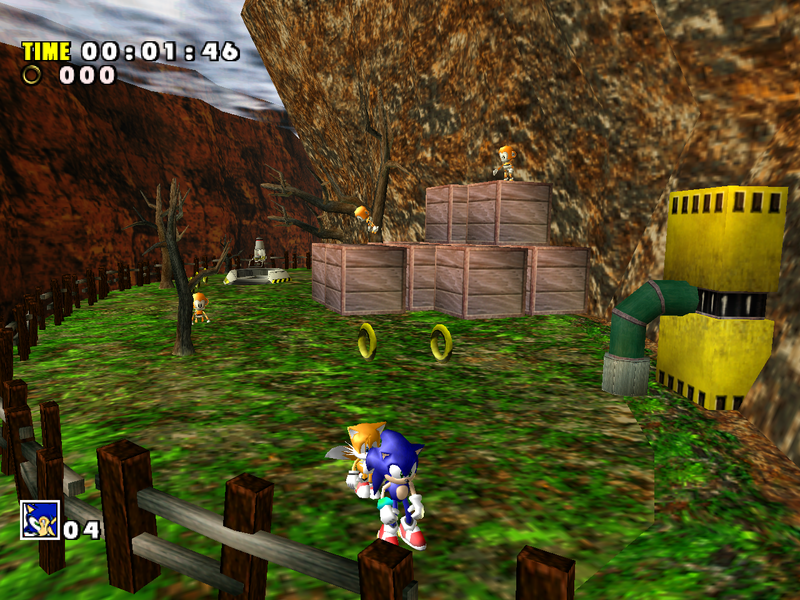 However, even Acts 1/3 have some noticeable changes that make them inferior to the Dreamcast version. Before talking about general downgrades, however, let’s discuss some common misconceptions about this level. 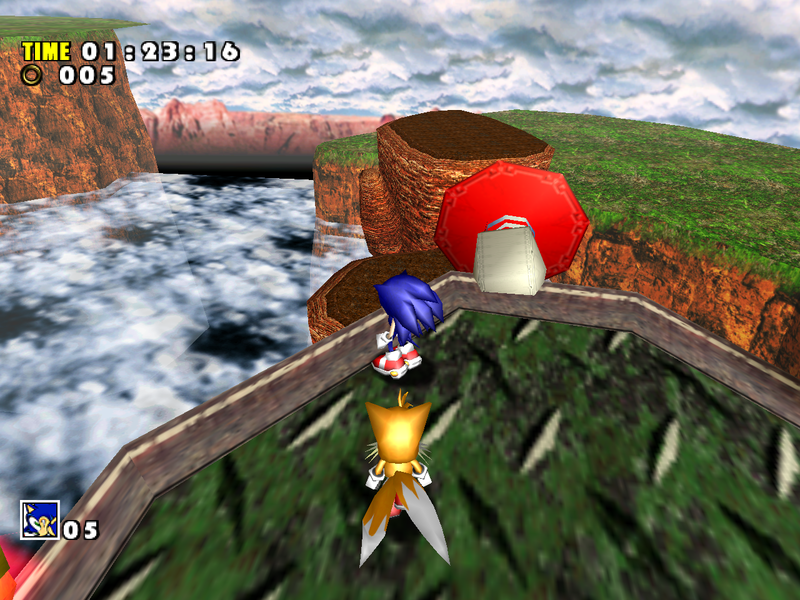 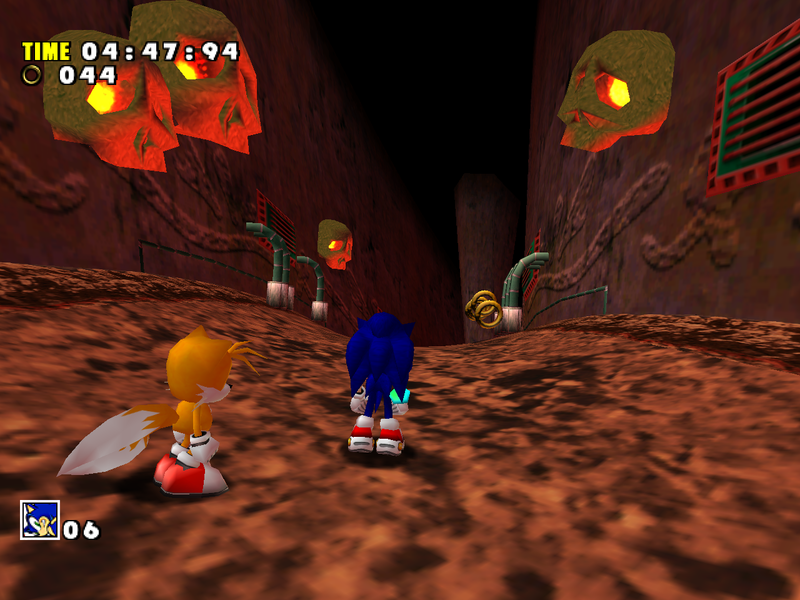 Some people say the SADX version of Red Mountain has higher resolution textures than its Dreamcast counterpart. 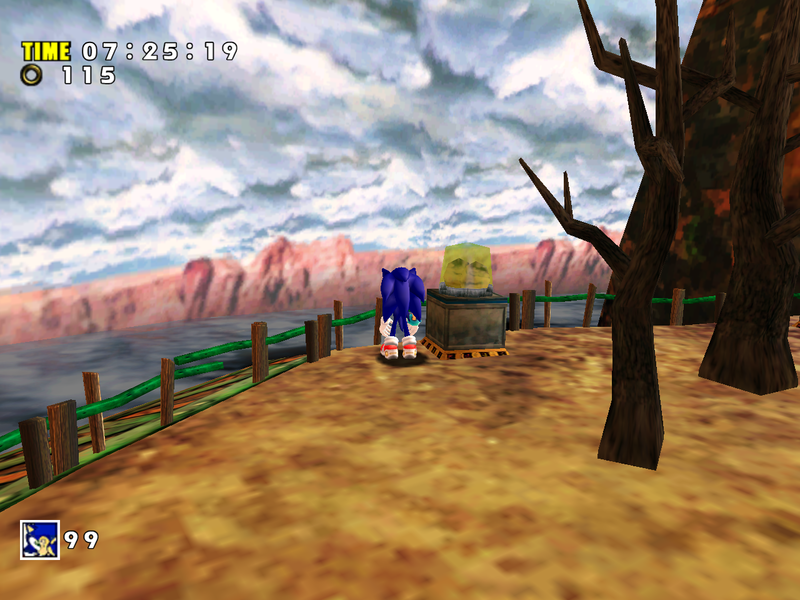 That is not entirely true. 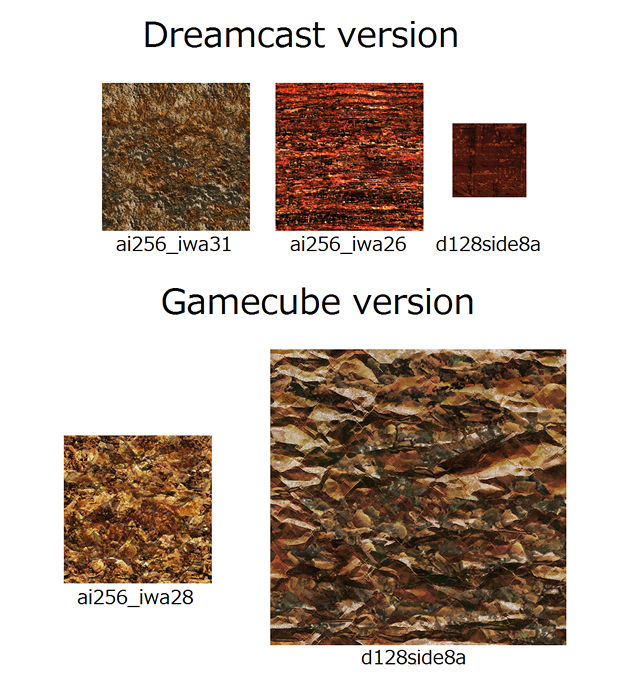 If you compare the textures between the Gamecube and Dreamcast versions, you’ll notice that there’s only one texture in the Gamecube/PC version that is 512×512, and the rest of the textures are mostly the same resolution as on the Dreamcast, or worse. 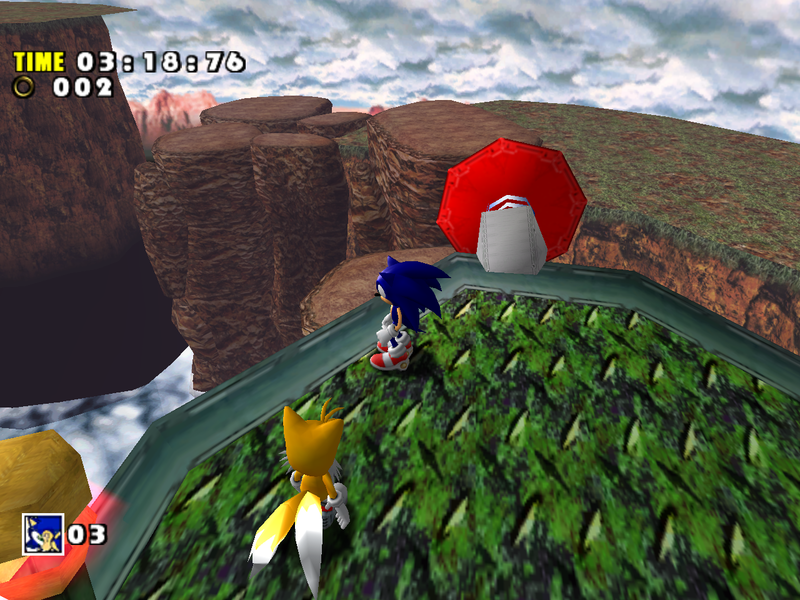 SADX replaces one 128×128 texture with a 256×256 one, but four 256×256 textures were also replaced with 16×16 textures in SADX. In addition, there are two extra textures on the Gamecube/PC. 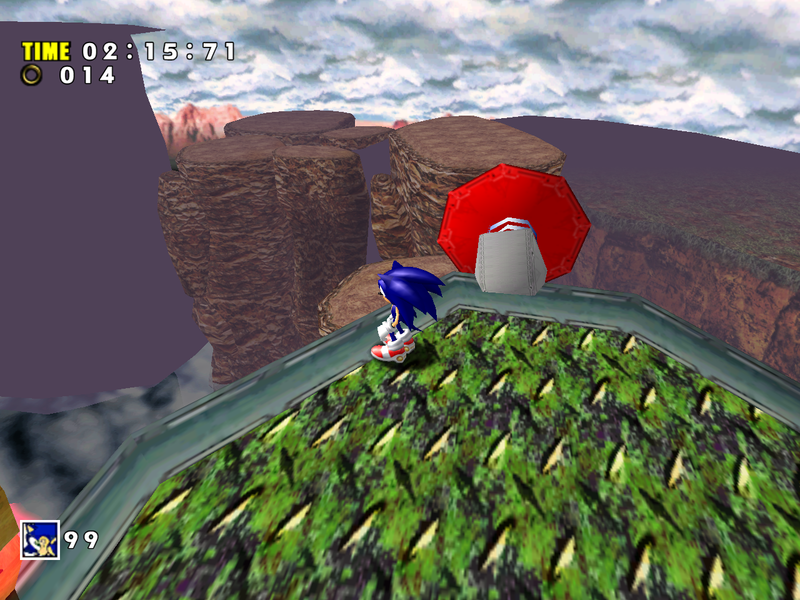 In Act 1 in particular, something strange happened to several textures in SADX: their resolution was reduced to 16×16, and their hue was shifted to make them blue. 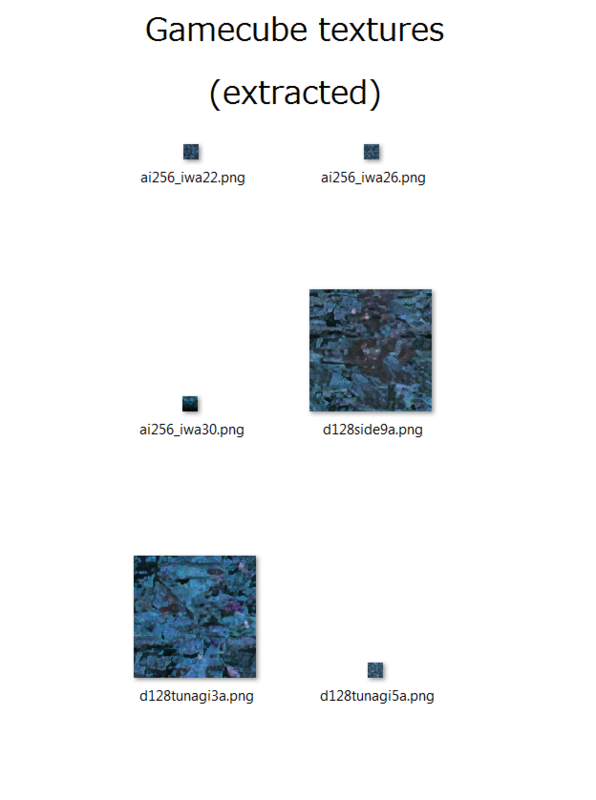 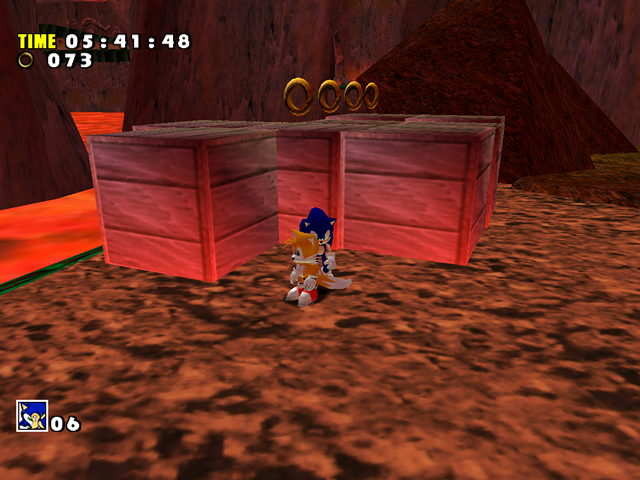 Two other textures were not shrunk but still received the blue coloration. These textures appear to be unused, which, if true, means that the SADX version of the level uses less textures than its Dreamcast counterpart. 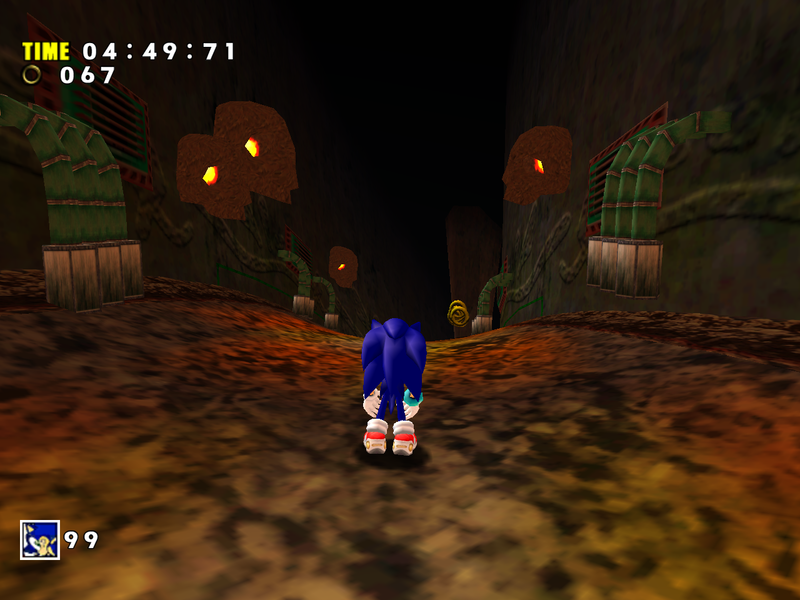 A recurrent problem with the ports is loss of detail in character lighting. 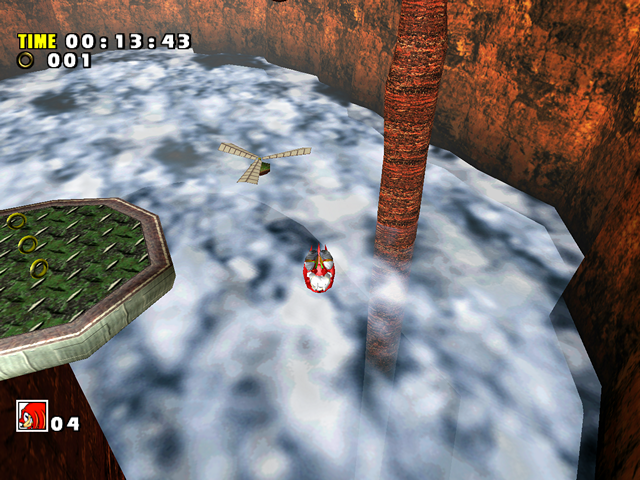 The characters in the Dreamcast version often had palettes that matched the level’s theme, or had an otherwise unique effect. 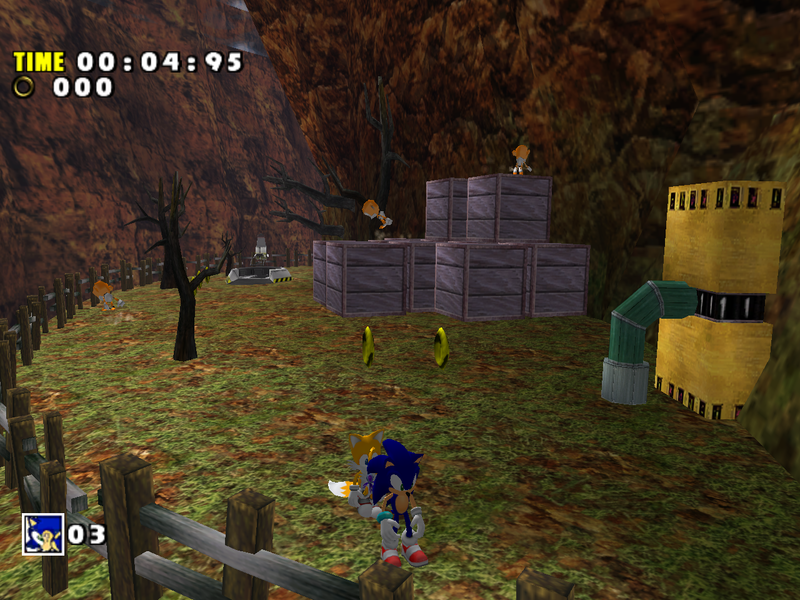 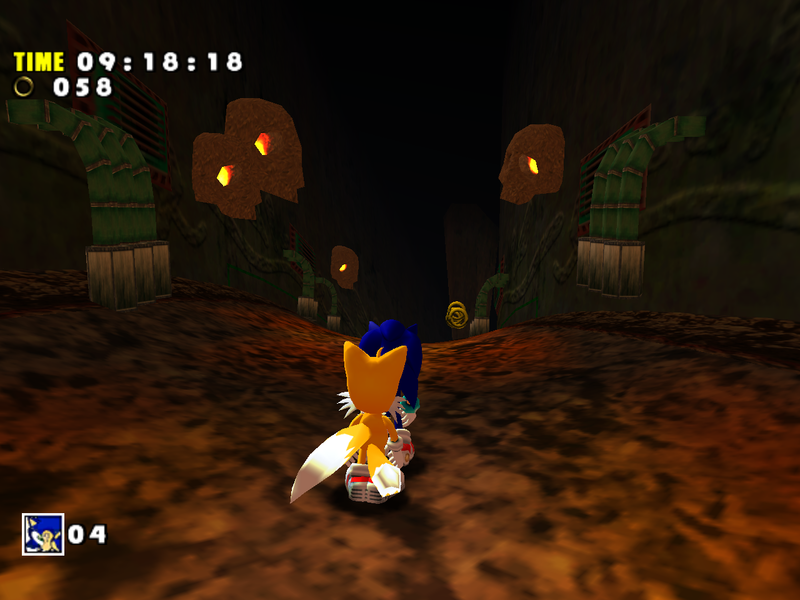 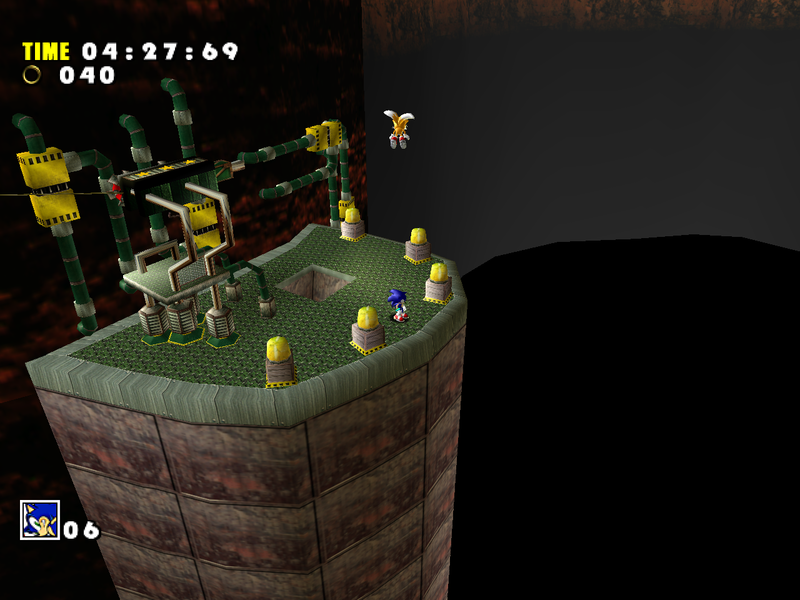 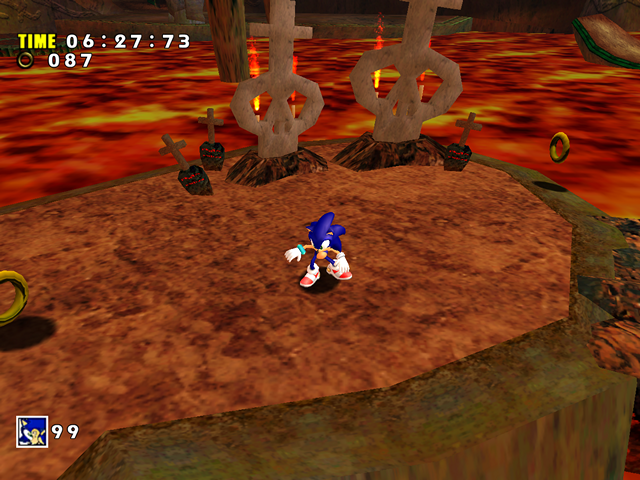 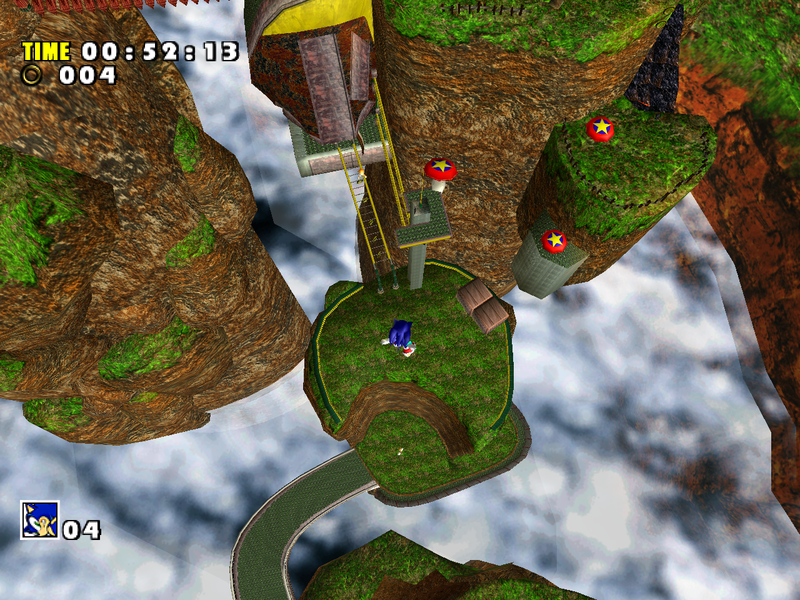 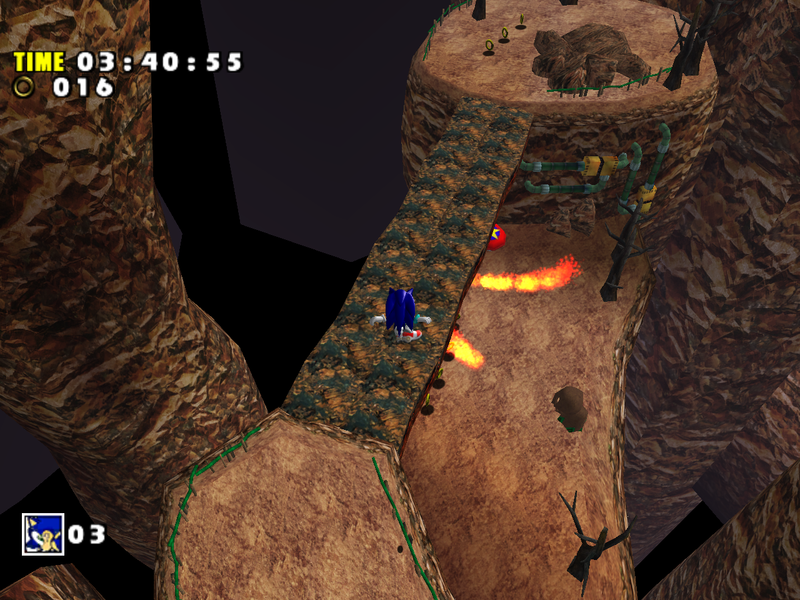 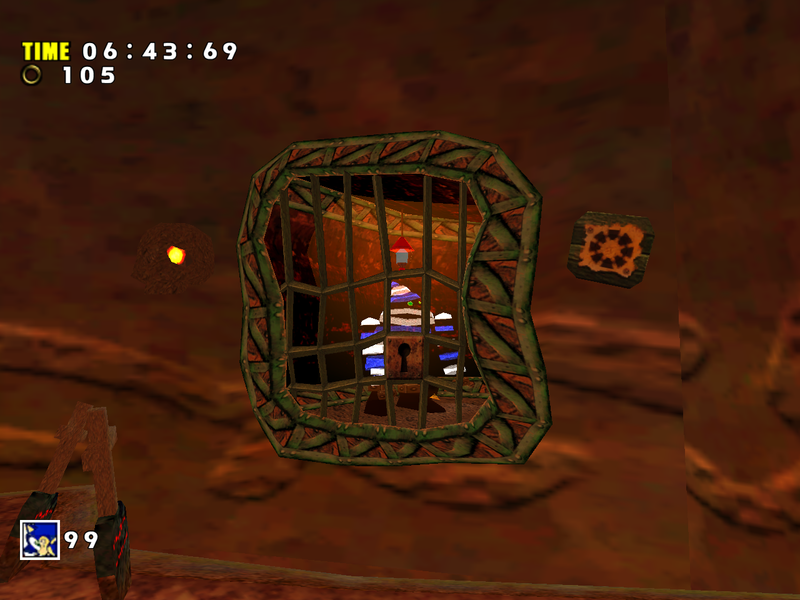 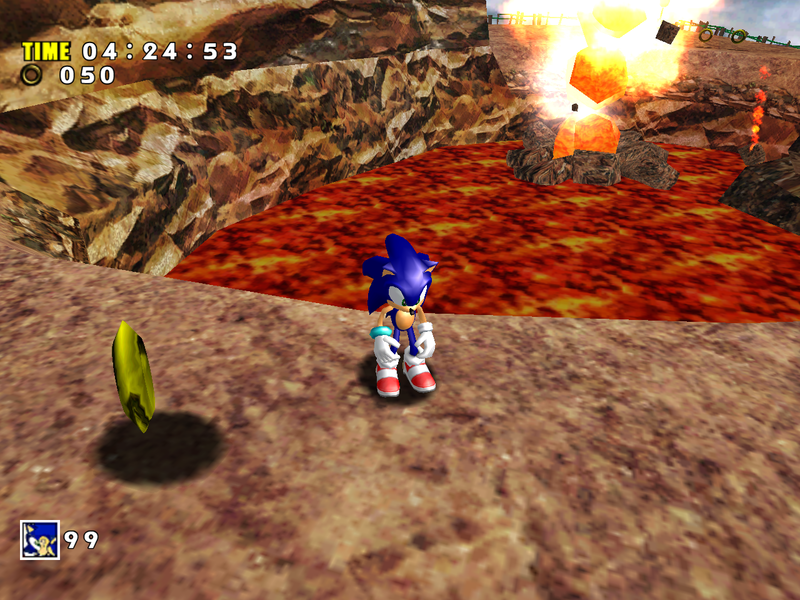 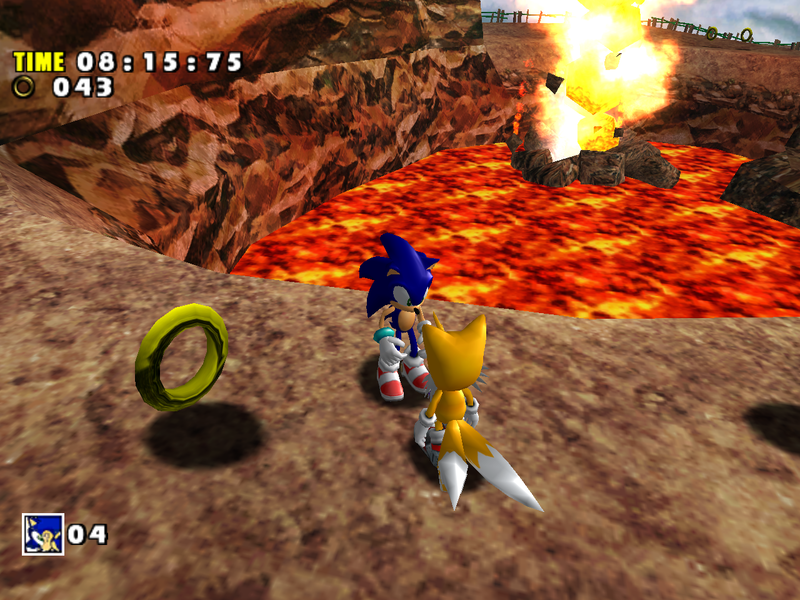 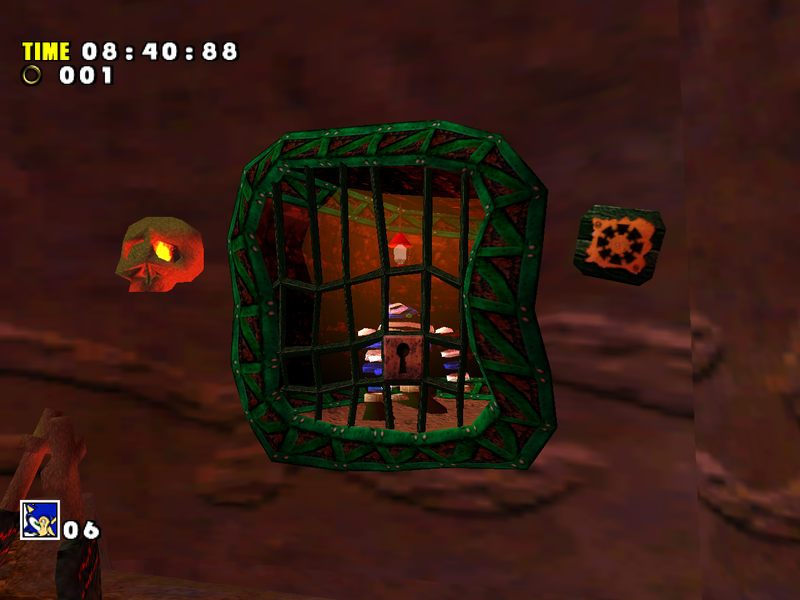 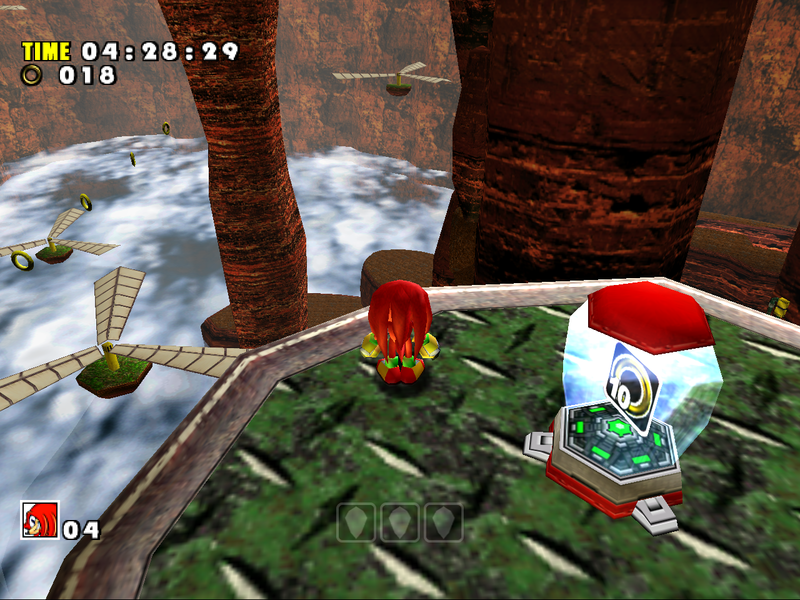 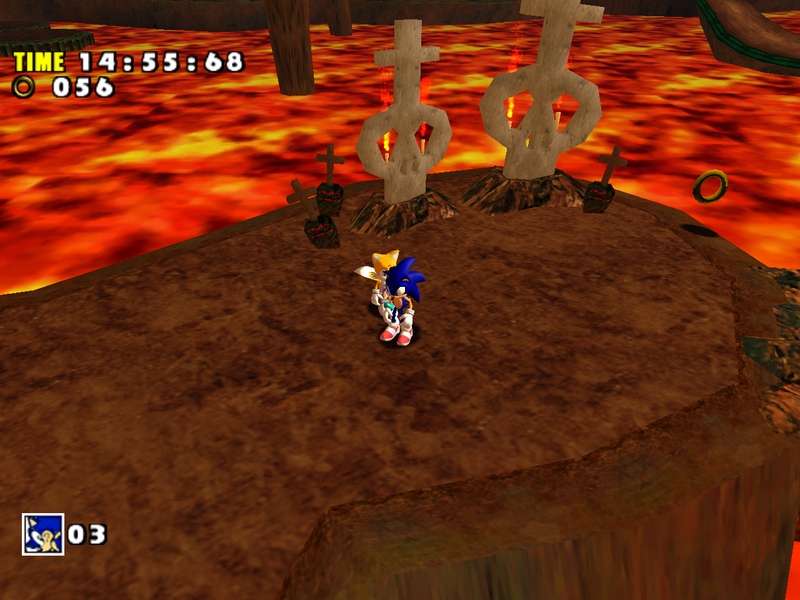 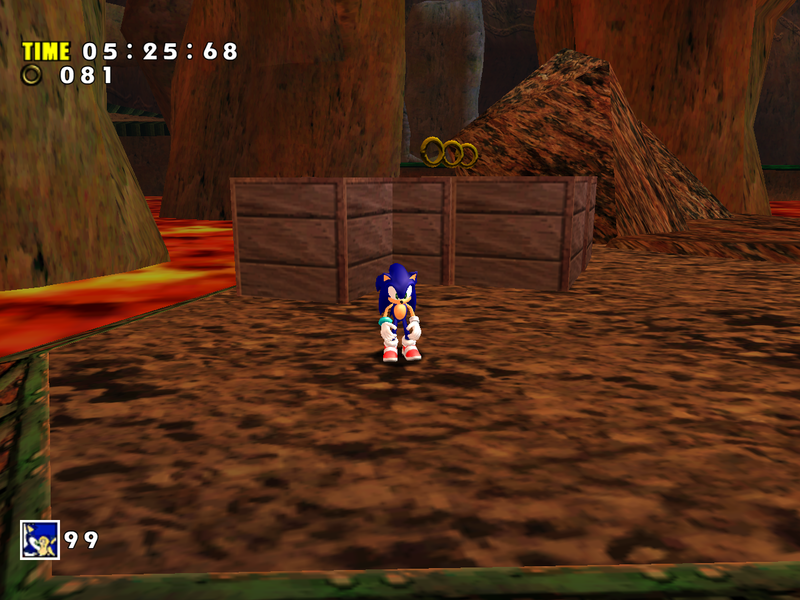 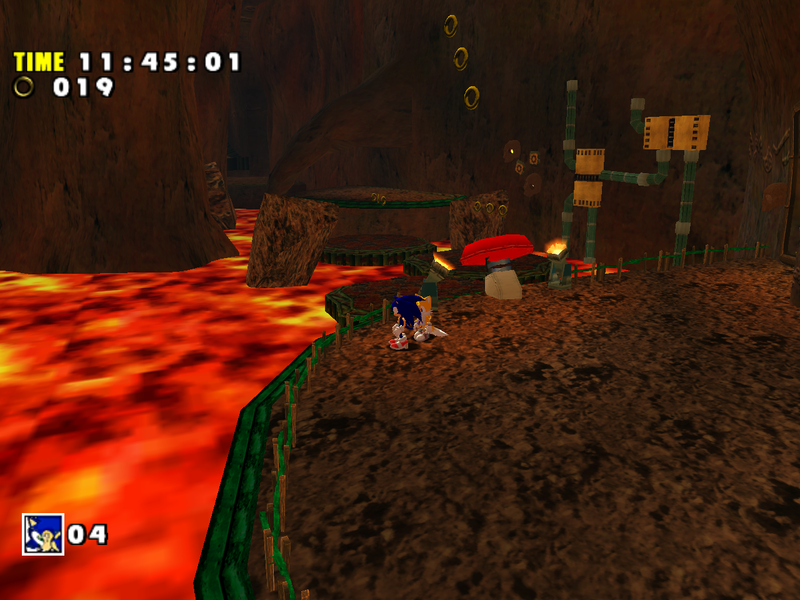 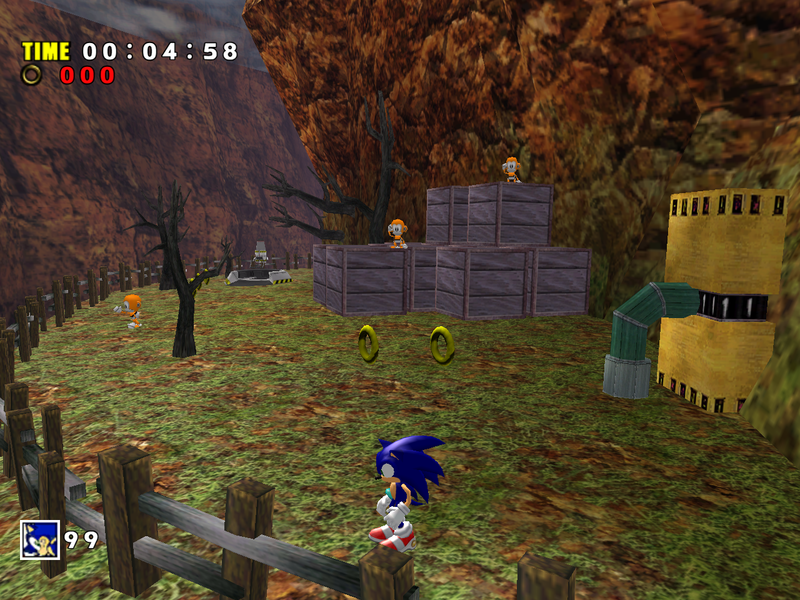 For example, in Red Mountain Act 1 Sonic is illuminated from one side with a yellow specular light. 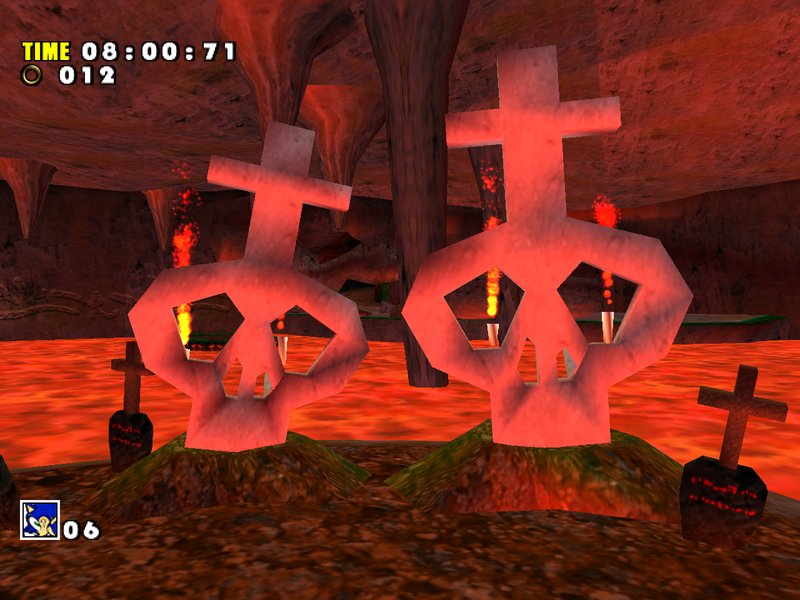 Although the Gamecube version had a character lighting system almost as capable as the Dreamcast version, the characters seldom have noticeable differences from the ordinary glossy look. 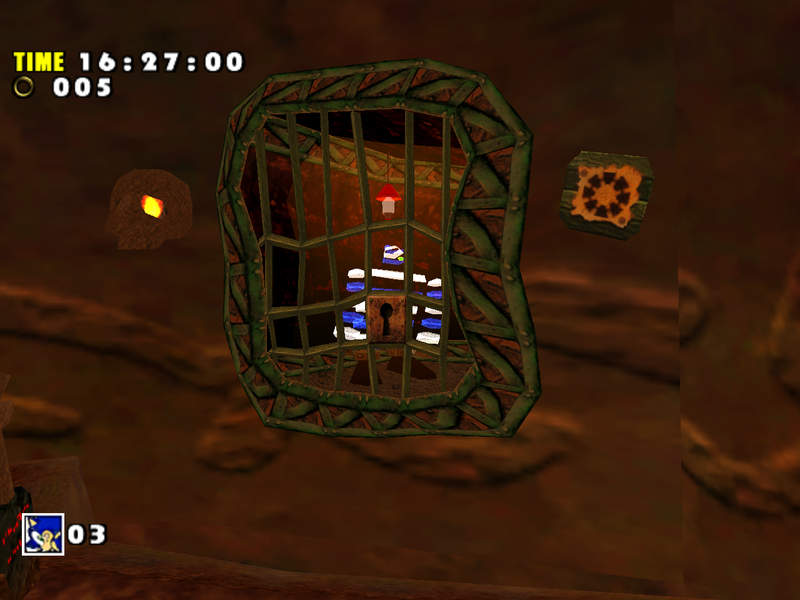 The PC version’s character lighting is even worse than on the Gamecube because it disregards half of the coloration values left over from the console port. This becomes noticeable enough once you climb up the mountain. This particular instance of pop-in was even reported as a bug with SADX mods! 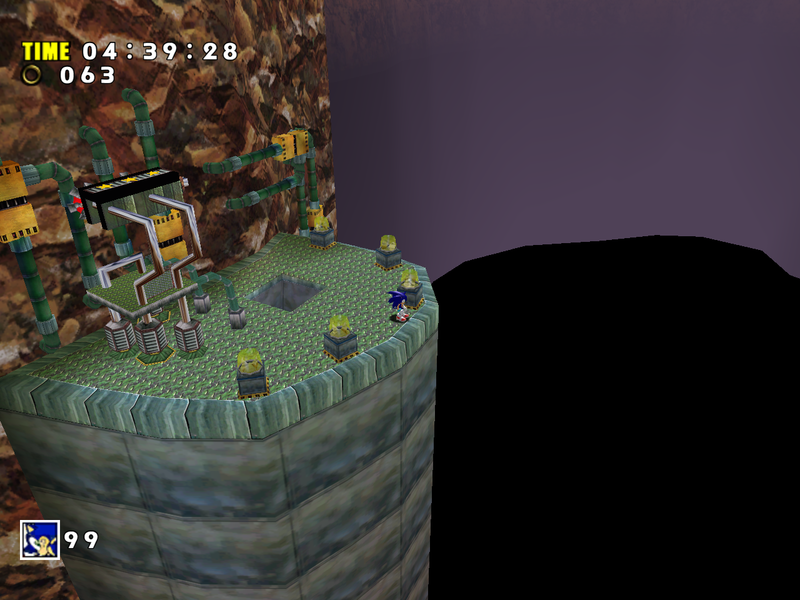 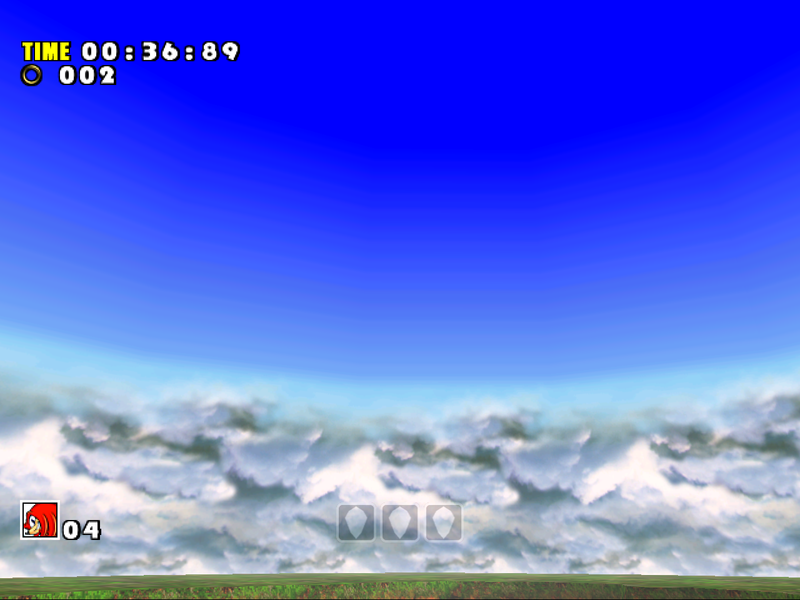 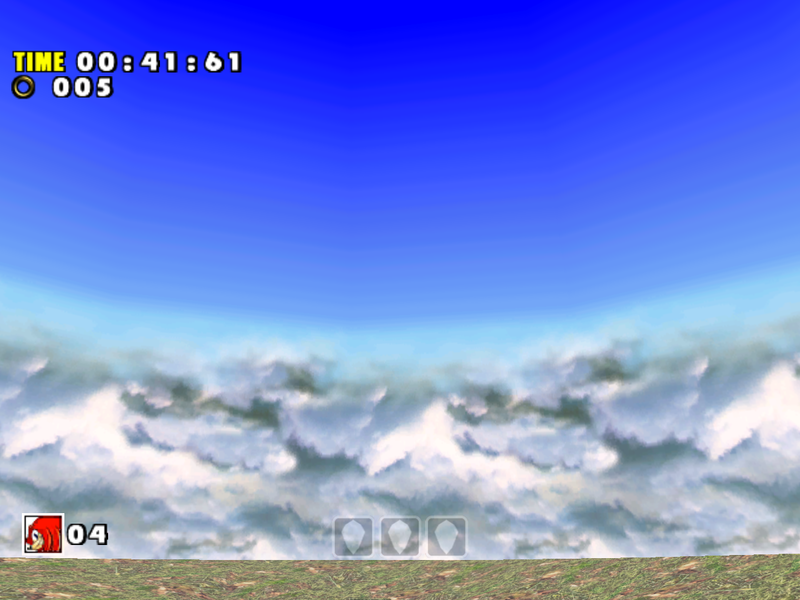 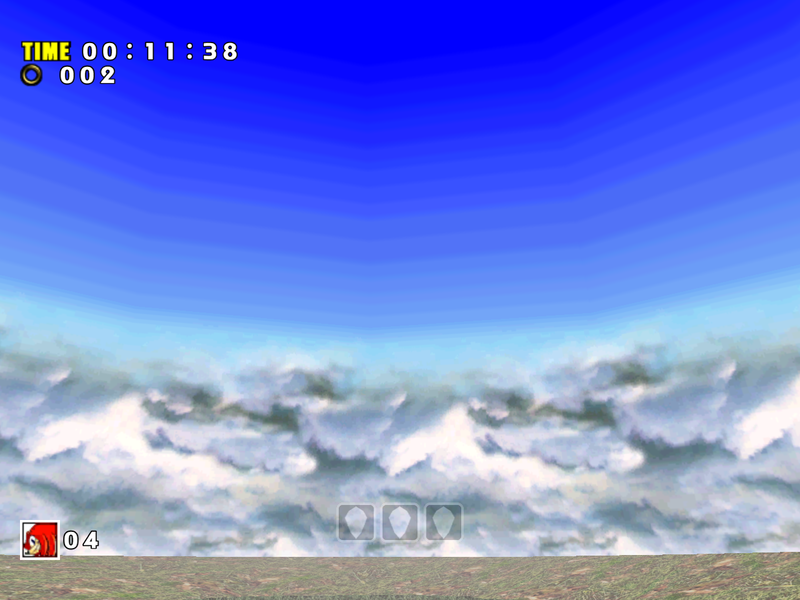 The Dreamcast version doesn’t have this problem because it doesn’t draw the problematic level pieces at this distance. 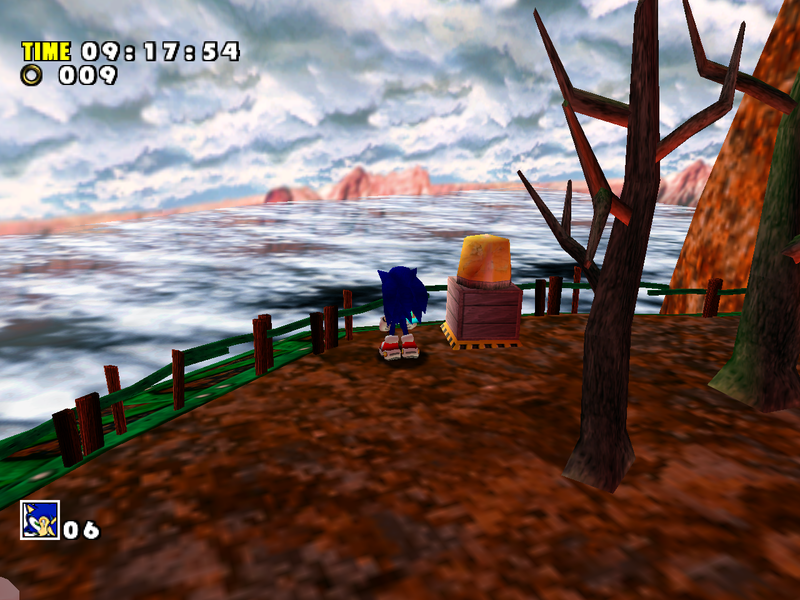 Also note the much better lighting and the subtle white fog that enhances the look of distant mountains. 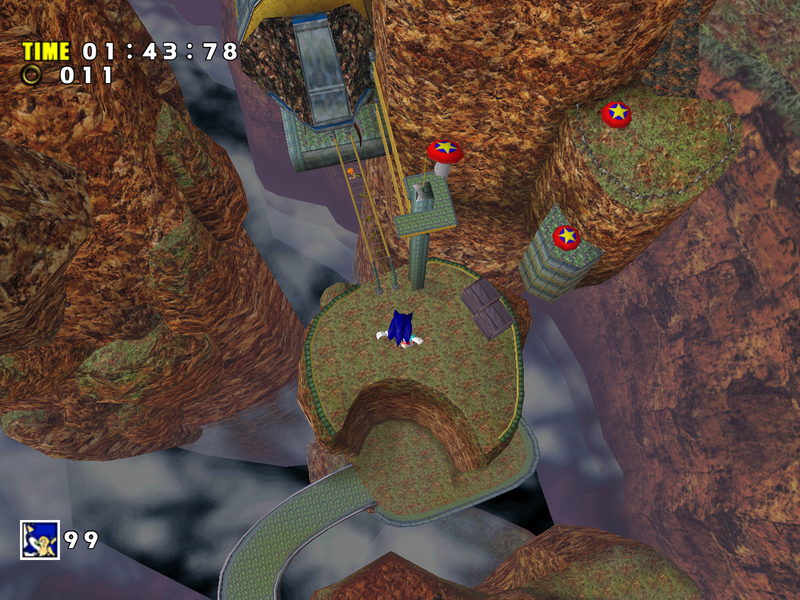 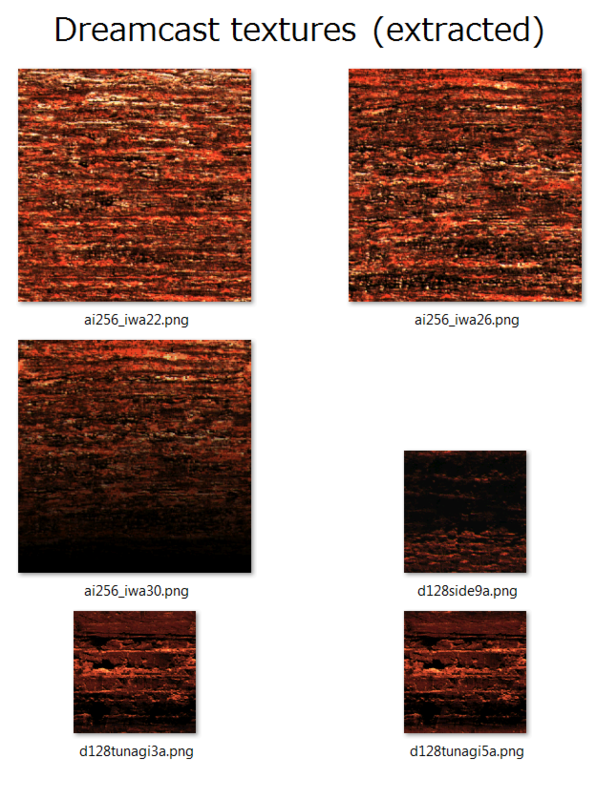 As unfortunate as it is, the “better” (debatable) textures could not save Red Mountain from massive downgrades – particularly Act 2, which has lost its charm with the removal of lighting. 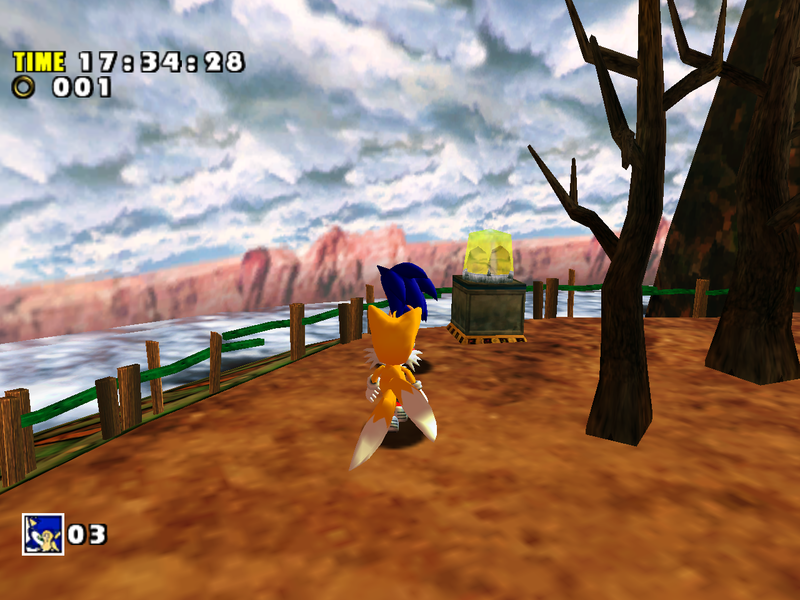 To get the original lighting back you can install the Lantern Engine mod, and to fix other downgrades you can use the Dreamcast Conversion mod. 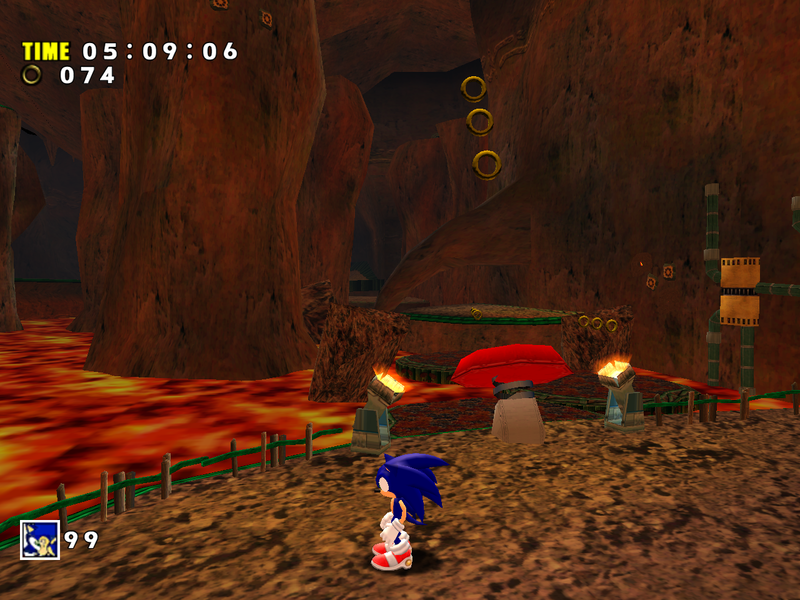 If you prefer the SADX version of the level, you can turn off Red Mountain in Dreamcast Conversion config in the Mod Loader. 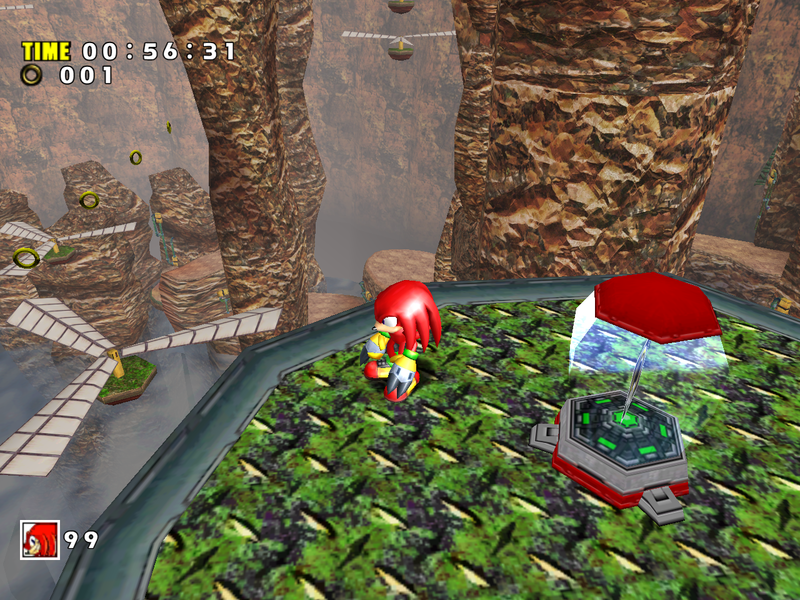 For more, check out the section about fixing the PC version of SADX.